Southern California Appellate News: Are opinions too long? I also think published opinions, particularly on the Court of Appeal, should expressly or implicitly justify why they are being published. And they should do so by setting forth their question presented and its answer in the first paragraph, so the reader can know whether the opinion deals with the issue he or she is trying to address. 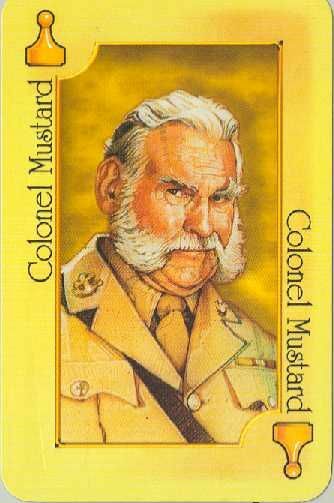 Opinions aren't whodunits, and the reader should learn right up front that it was Colonel Mustard in the Library with the candlestick. But I am just one of the 100 or so appellate judges in this state, and we each have our own philosophies about what makes a good judicial opinion. What is more, the role of Court of Appeal decisions in filling in holes in the tapestry of the law is different than the role of Supreme Court decisions in sometimes weaving an altogether new pattern into that tapestry. Moreover, he points out that there are "constraints that apply to all appellate courts, and those constraints seem to indicate that judicial opinions can be too short"--i.e., the California Constitution requires decisions "with reasons stated" and "it is important that judicial opinions "show their math" and justify their outcome, albeit concisely." On the style front, he points out that the subject matter the justices have to work with can be inherently dry, and "Not all of us can be Justice Arthur Gilbert or Justice William Bedsworth, each of whom have an indelible way with words." He concludes: "In the end, I think my open reply may have proven Mr. McBride's point. His open letter was just over 300 words, and this reply nearly 1,300. Maybe we appellate judges like our words just a little too much. Or maybe, like many issues in the law, the rejoinder is harder to state than the issue." Also in today's DJ: Jimmy Azadian and Kathryn Han present their 9th Circuit in review: The Top civil cases of 2018. Today's Recorder features retired Justice William Stein and Myron Moskovitz in Protecting the Record for Appeal: Part I. They point out that even the best appellate lawyers can't win "an appeal with a lousy trial court record." Hence some basic tips to remember before heading to court: Order a court reporter; Object to your opponent's evidence; Resist objections to your evidence.